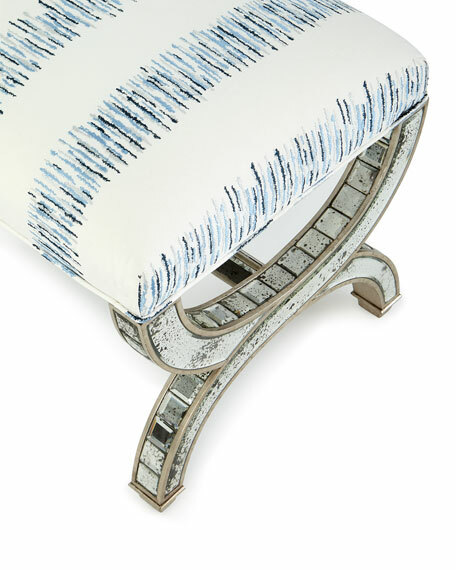 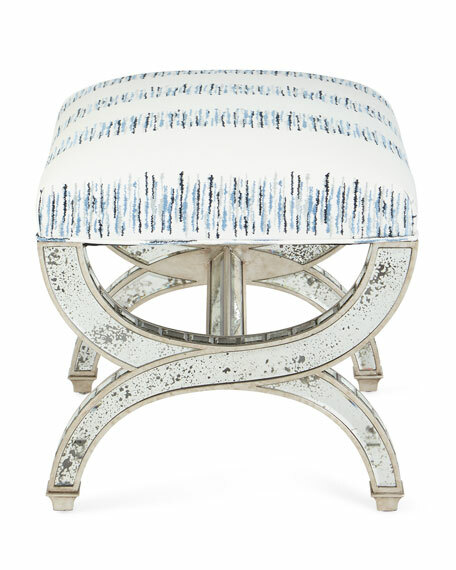 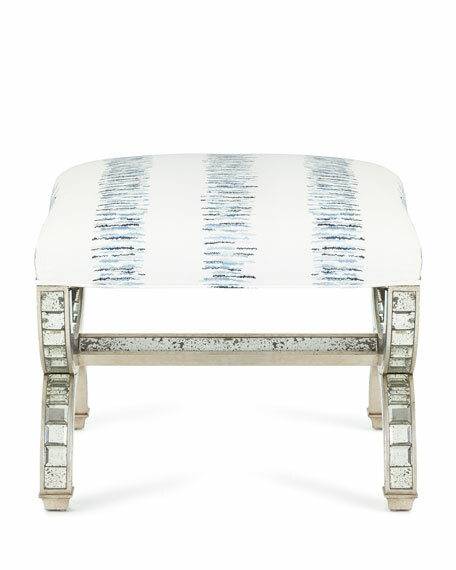 Beveled antiqued mirrors create the base for this stylish stool finished in antiqued silver and upholstered in an embroidered broken stripe in varying hues of blue. 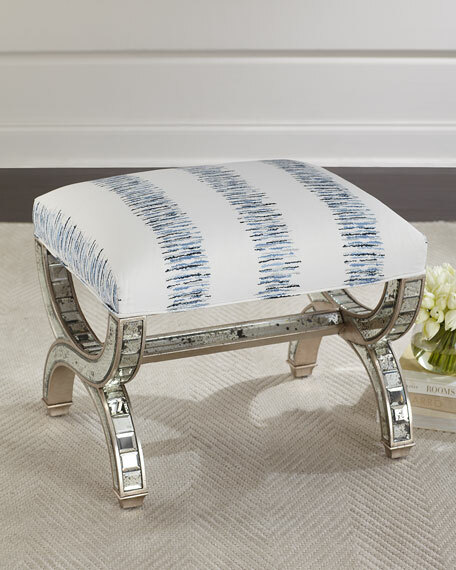 Handcrafted stool with beveled antiqued mirror trim on base. 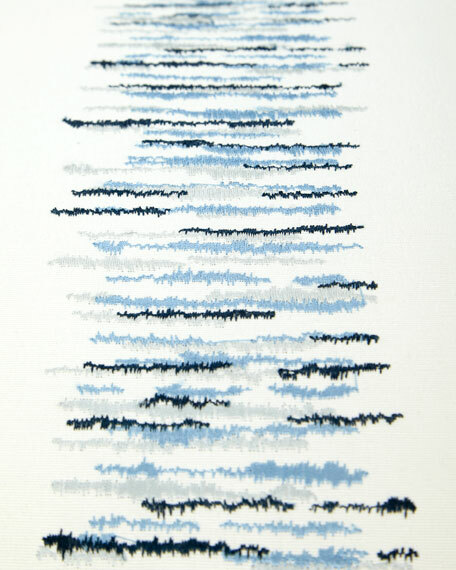 Overall, 24"W x 20"D x 20"T.